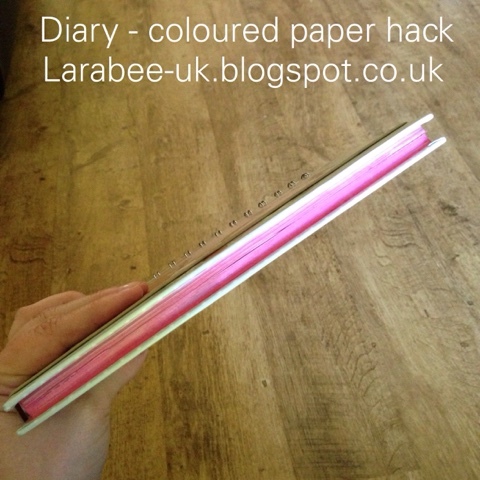 I had a bit of an accident with my blog diary a few weeks back and spilled coke on it, although it didn't go rough to any pages, it was really annoying me and so I needed to find somewhere/somehow to get it looking good again. 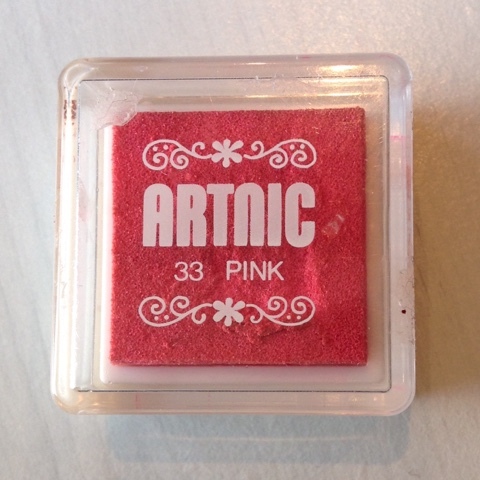 After thinking for a while, I decided my best option would be to use a pink stamp pad. 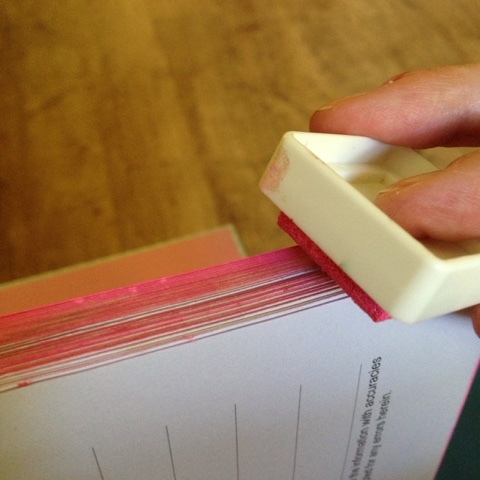 After securing the pages, I started running the pad along the pages, it worked an absolutley charm! 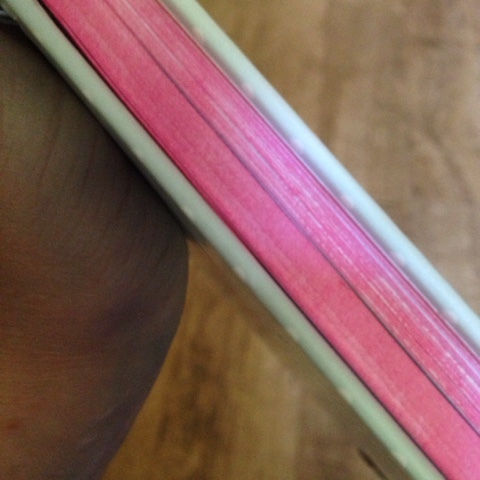 As you can see the colour took really well (especially on the new pages). 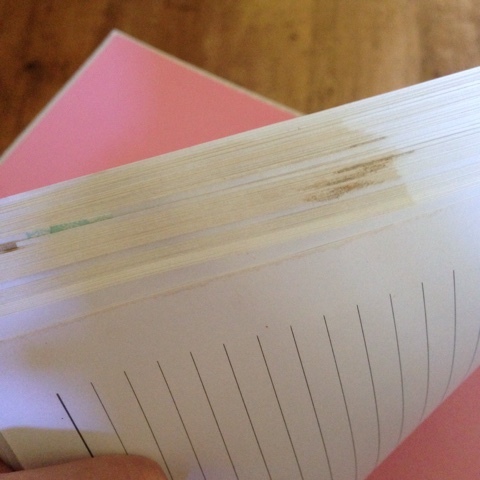 Now the stain is covered and I'm much happier looking at the planner to plan my blogger day!